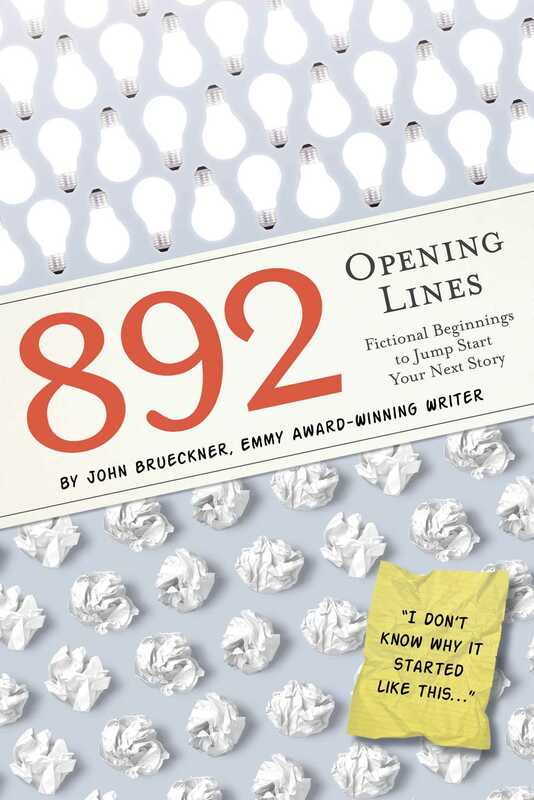 892 Opening Lines is an astoundingly varied collection of fictional first sentences that will spark a writer’s creativity. It doesn’t matter if you are a published author or an aspiring one – at some time or another all writers need to jump-start their process. Whether you are trying to be the next John Steinbeck or J.K. Rowling, there is an opening sentence in here for everyone, from spy thrillers to bodice rippers and dystopian fantasies. Also included in this book are inspiring quotations from successful authors who know all too well the highs and lows of getting words on the page. Funny, enigmatic, touching, and beautiful, these opening lines unlock the limitless possibilities for all writers to start telling their stories. Author John Brueckner has won 8 Emmy Awards, and has been nominated for 38. His work has appeared on Comedy Central and the Cartoon Network.